The following JG I pilots are being recognized for their actions during Session B2 of Flanders In Flames 2017 "Fall Campaign" (flown on 2 December 2017). Gfr. Erich (Razwald) Vogel, Jasta 11 (session #B2, 2 December 2017), for the destruction of 2 enemy ground targets within one streak. Htpm. Heinrich Maushake, Jasta 10 (session #B2, 2 December 2017), posthumously, for gallantry in battle, but also extraordinary fidelity and essential service. 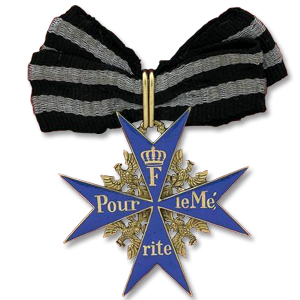 [esprit de corps]. OffzSt. Noel (Hotlead) Kappel, Jasta 10 (session #B2, 2 December 2017), posthumously, for gallantry in battle, but also extraordinary fidelity and essential service. [esprit de corps]. Lt. Thomas Lahm, Jasta 6 (session #B2, 2 December 2017), for gallantry in battle, but also extraordinary fidelity and essential service. [esprit de corps]. Oblt. Hans von Eichenwald, Jasta 6 (session #B2, 2 December 2017), for gallantry in battle, but also extraordinary fidelity and essential service. [esprit de corps]. Oblt. Stefan (Steewe) Schwarz, Jasta 6 (session #B2, 2 December 2017), for gallantry in battle, but also extraordinary fidelity and essential service. [esprit de corps]. Oblt. 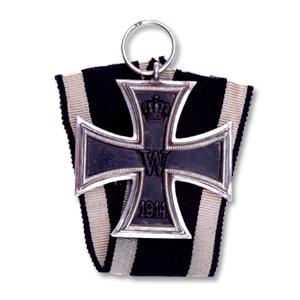 Wilhelm (Wiley) Luftritter, Jasta 4 (session #B2, 2 December 2017), for gallantry in battle, but also extraordinary fidelity and essential service. [esprit de corps]. Congrats also to the red team for a great battle! Even though the award recognizes individual achievement, I would like to take this time to recognize some other individuals. JG1_Lee and JG1_Vonrd who sometimes ended up being the bullet magnet for me on more than one occasion! S! To all scout pilots but specifically JG1_Maushake, JG1_Hotlead, JG1_Luftritter, JG1_Razwald and BH_Loopy, for saving me more than once by arriving just in time to shake the enemy off of my tail. S! Finally to a great group of guys "Red team" for working together to get the results we have even though we have been outnumbers 2-1 the last few sessions. S! Great job Snaggle! I think you’re our first 2-seater pilot to earn the Blue Max. Well done. Congrats guys! Well done on the Blue Max Snaggle - wear it with pride! He is! All other Blue Max winners (Wurger, Labroisse, Barton and Baron) have achieved it through air victories. Wow, stupendous accomplishment Snaggle! Making it on 2-seater missions makes the scout role look like a cake walk. S! to you, sir!! Congrats to all other awardees! Awesome teamwork! And thanks for the recognition too! And it goes so well with my eyes. Looks like you all did a fantastic job the other day too -- sorry I wasn't there! I hope to join you all on Saturday, though I won't be able to make it to any practices this week since I have a show opening.